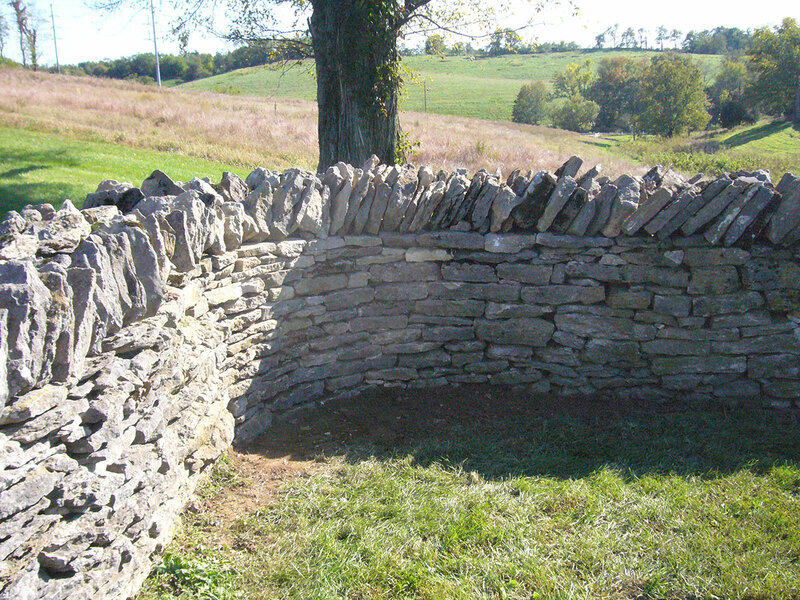 Building with the dry-laid method is one of the earliest skills that humans developed. 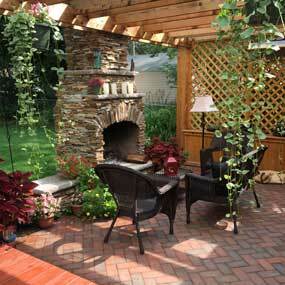 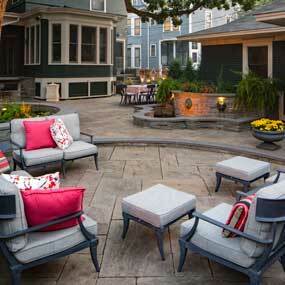 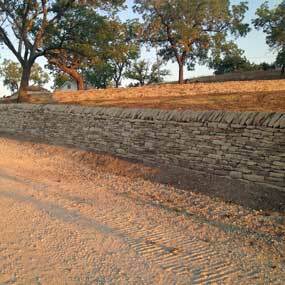 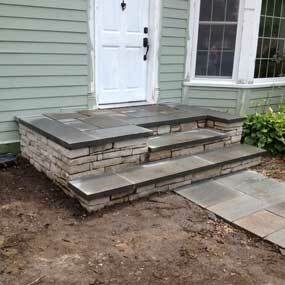 These mortar-less stone walls are known throughout various regions of North America and British Isles. 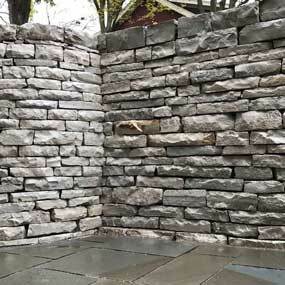 The stones work in unison with one another to provide a permeable fluid unified structure. 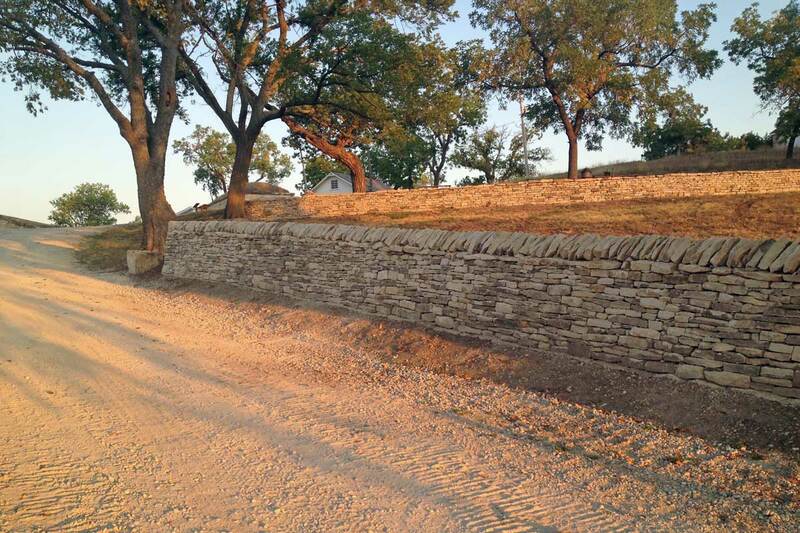 A properly built wall will stand for more than a hundred years with minimum maintenance, with some even lasting for centuries. 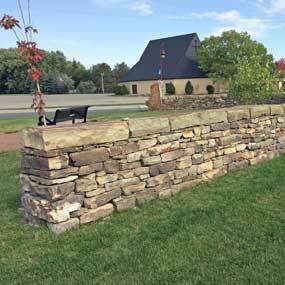 Dry stone walls provide structural durability. 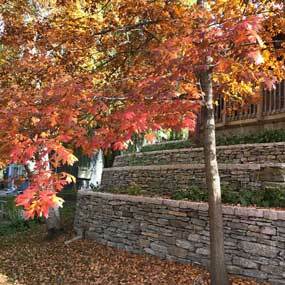 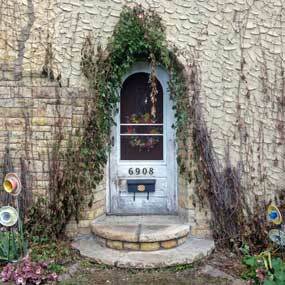 It is nearly impossible for the freeze cycle to deteriorate a wall that is properly built. 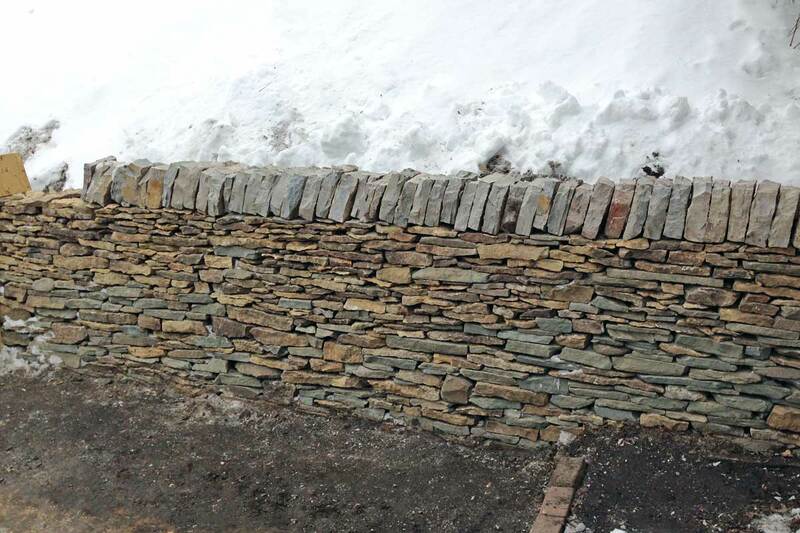 A dry-laid wall has built in flexibility so that ground movement has no effect and an expensive footing is not required. 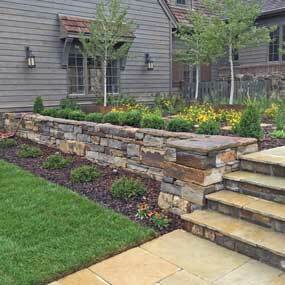 The dry stone wall professes magnificence, the stoic mystery behind the craft, and victory over the elements. 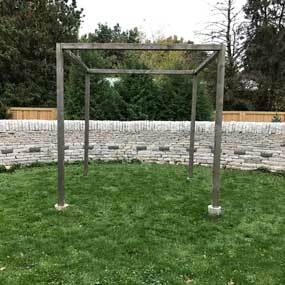 Why does it not fall over? 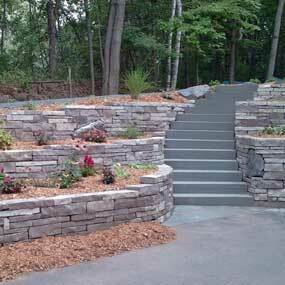 Every stone structure relies on its designer and builder to ensure all components are harmoniously working together, which makes the craftsman the most important element in preserving the walls integrity. 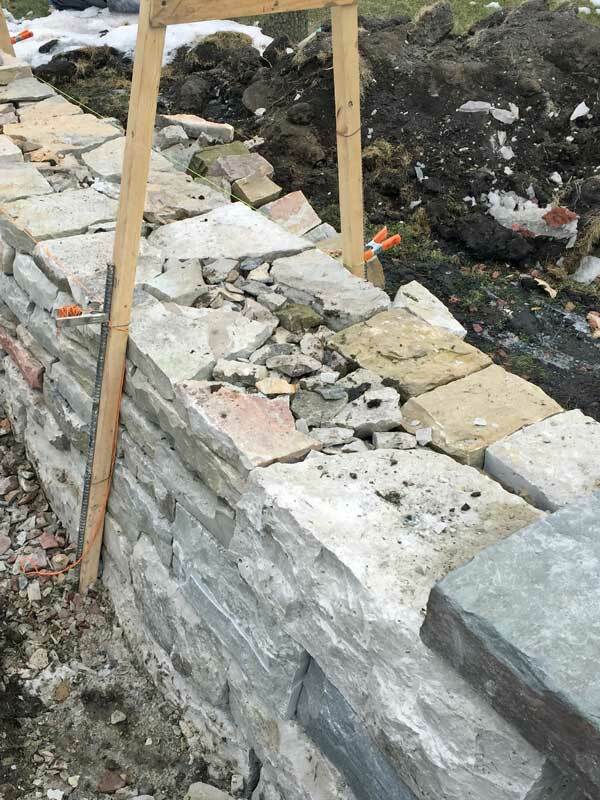 Every wall should have a solid foundation, properly calculated batter, methodically laid stones that support the neighboring stones in the wall. 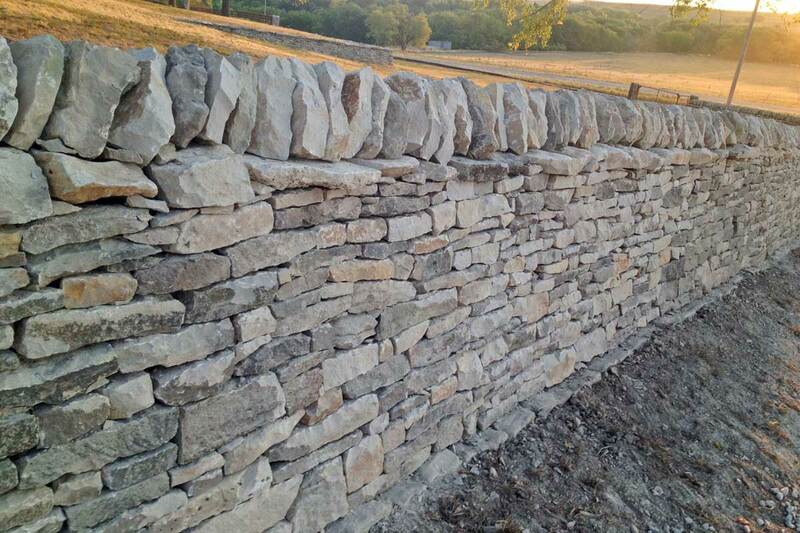 Every stone in the wall has a purpose, the stone you do not see are not gravel or scrap rock, which is the most common mistake made by uneducated masons. 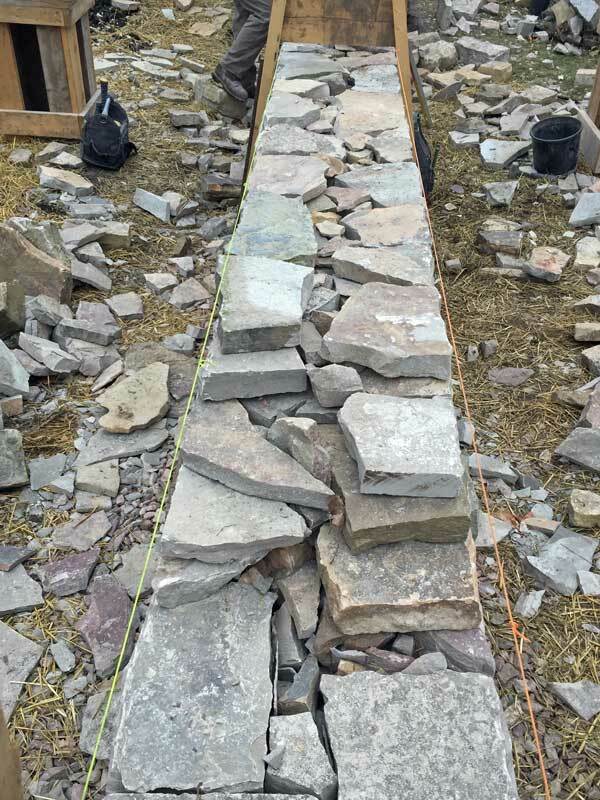 Ultimately the engineering behind dry stone wall uses gravity and friction to its advantage; gravity pulls the weight of each stone upon the lower stones it sits on to hold them in place, and friction to keep the individual stone connected to the contiguous wall. 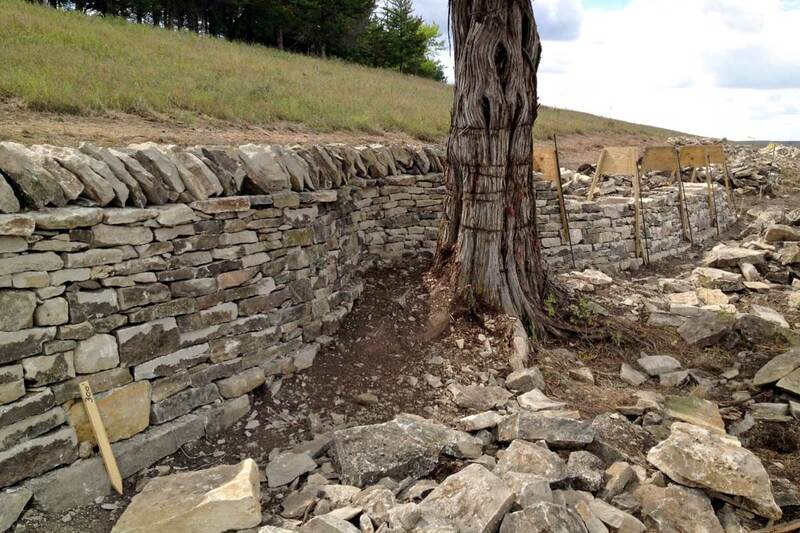 The Dry Stone walling Association of Great Britain (DSWA) and the Dry Stone Conservancy of USA (DSC) have educators, examiners, and certifications in order to preserve the integrity of this craft. 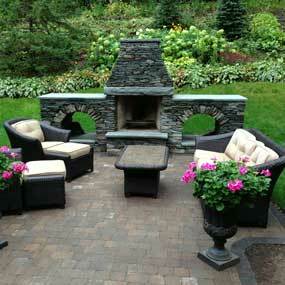 This provides you, the customer, with a known standard for the quality of work that you expect. 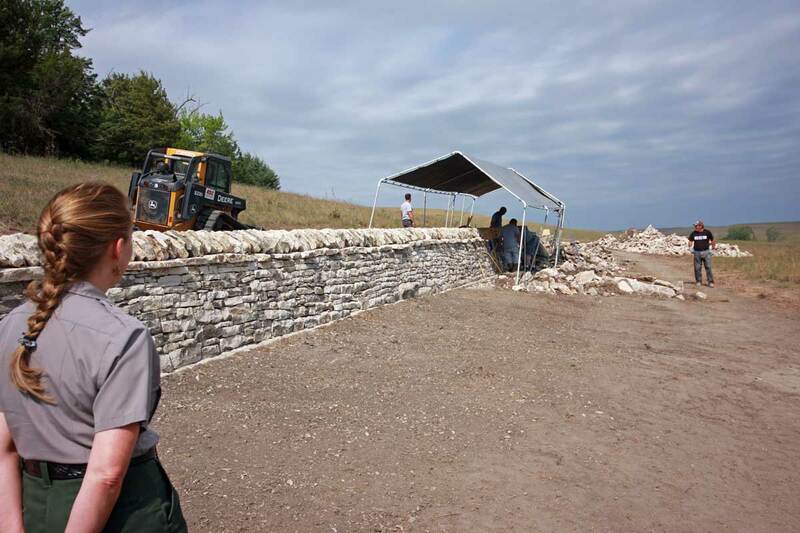 The dry stone mason works hard to achieve this certification, studying under masters, working with masons from around the world, devoting endless hours building walls in every style and in every environment to prove our aptitude and proficiency. 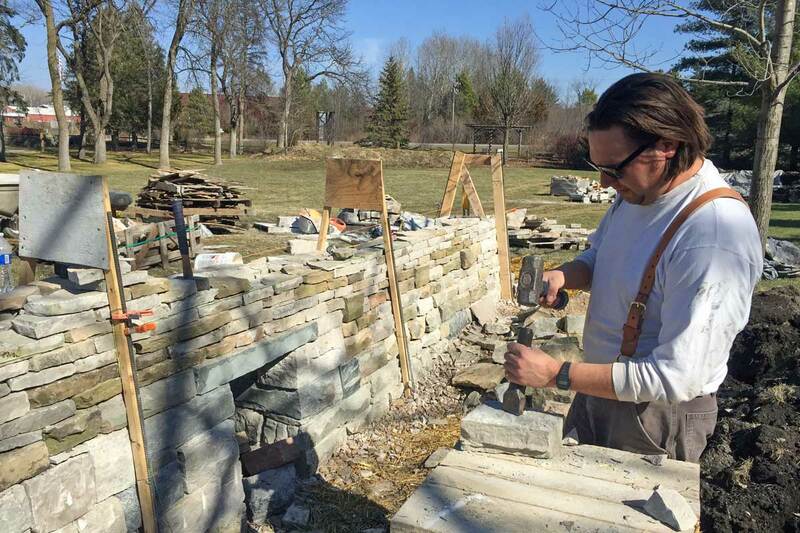 Ultimately the mason absorbs this ancient wisdom, enduring hand labor as our mentor. 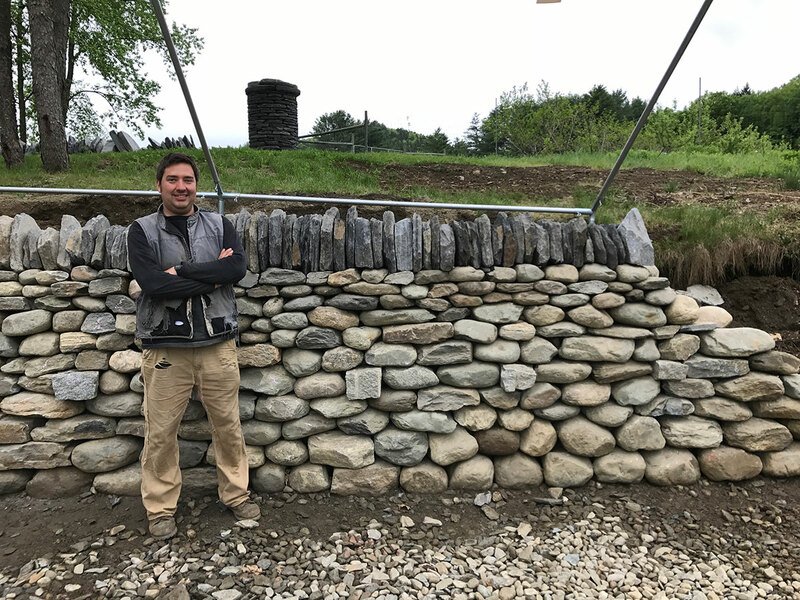 Daniel Arabella is a dual certified Dry Stone Mason by the Dry Stone Walling Association (DSWA Great Britain) & Dry Stone Conservancy (DSC USA).